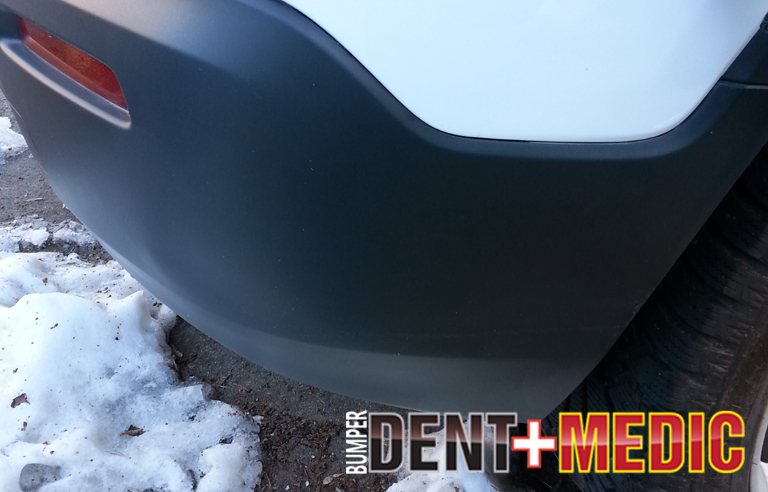 Car Dent Medic Bumper Dents and Dings. 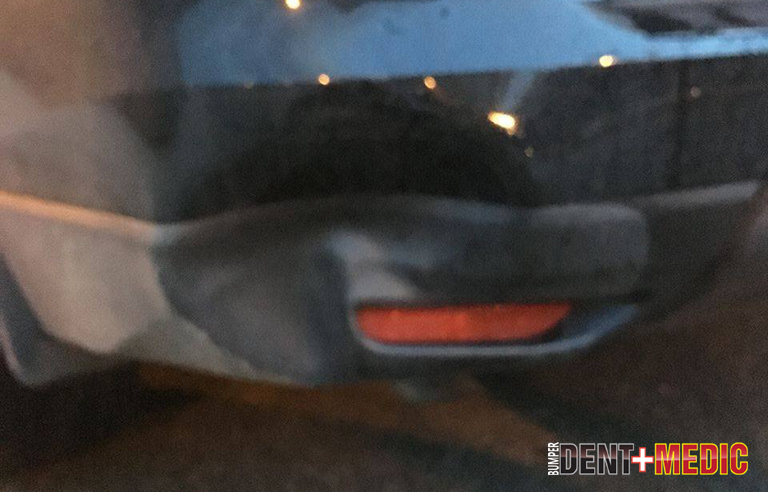 Plastic Bumper Dent Removal. 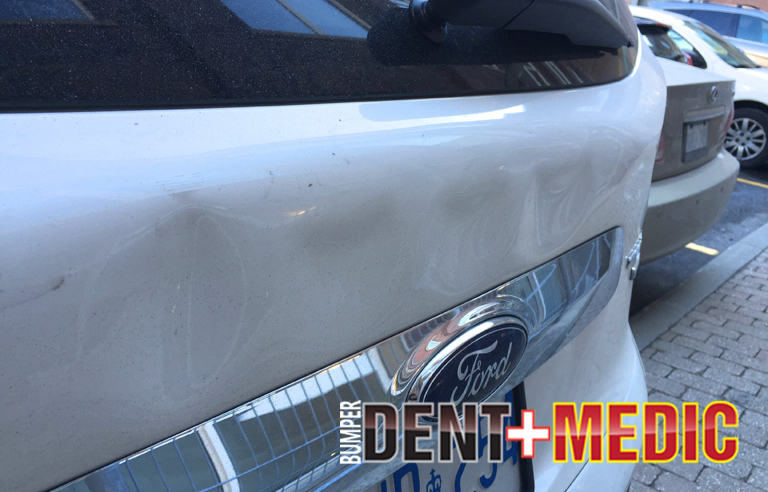 We offer Mobile Dent Removal Services in Toronto and GTA. 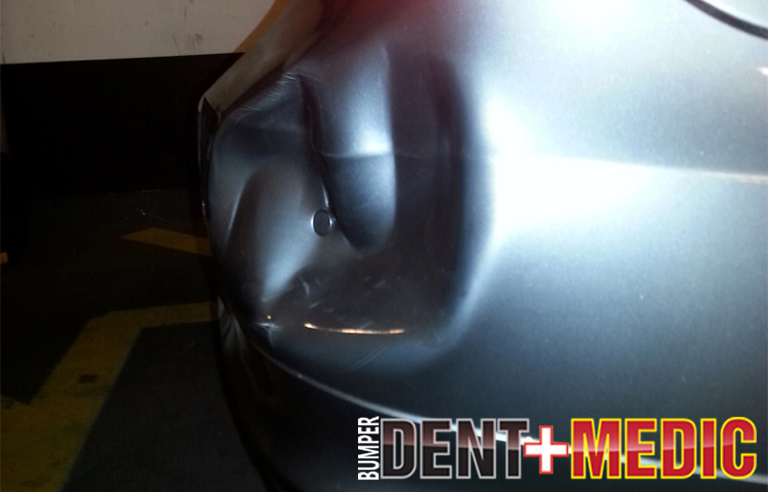 Bumper Dent Removal services. 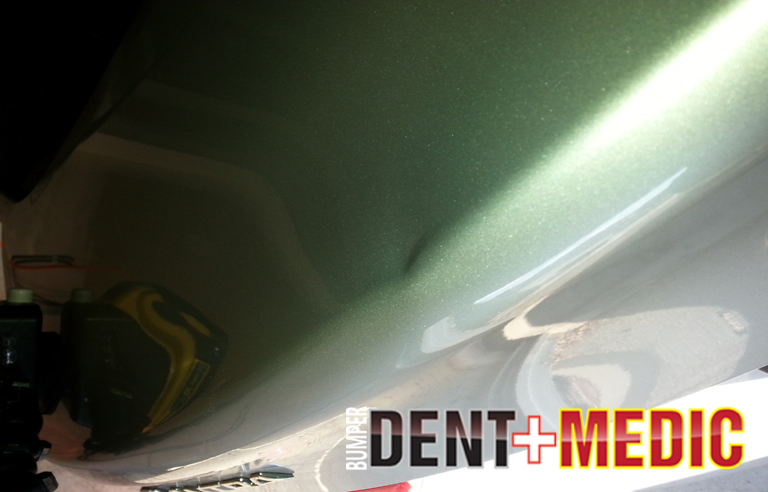 Paintless Dent Removal Services. Dents and Dings. 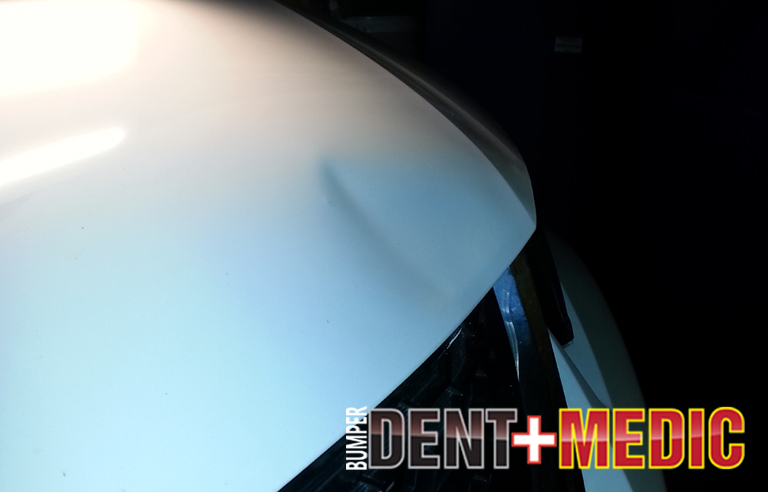 Auto Dent Repair. Car Dent Repair. Certified Dent Technician. 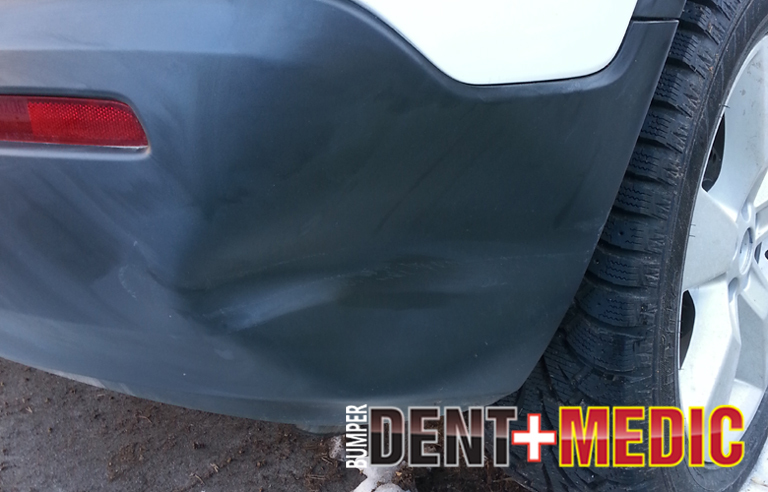 Bumper Dent Medic is not always just bumpers. Lease Returns. Hail Damage. 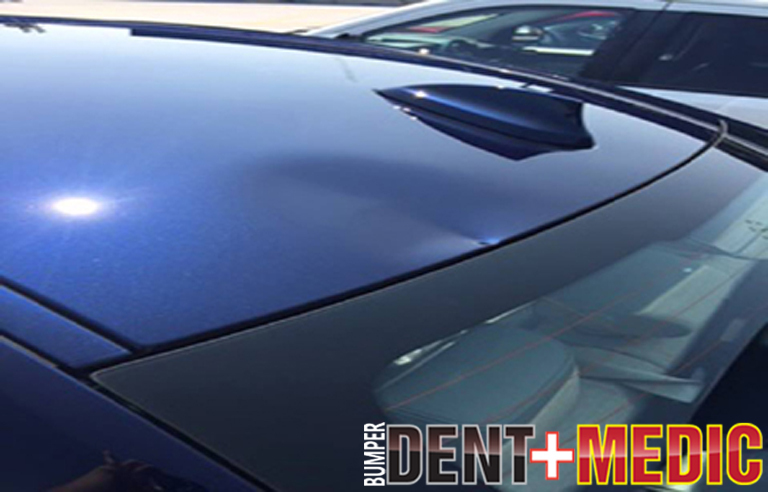 Paintless Dent Repair Service Toronto. Free Estimates select Quick Quote top left and send us your damages. 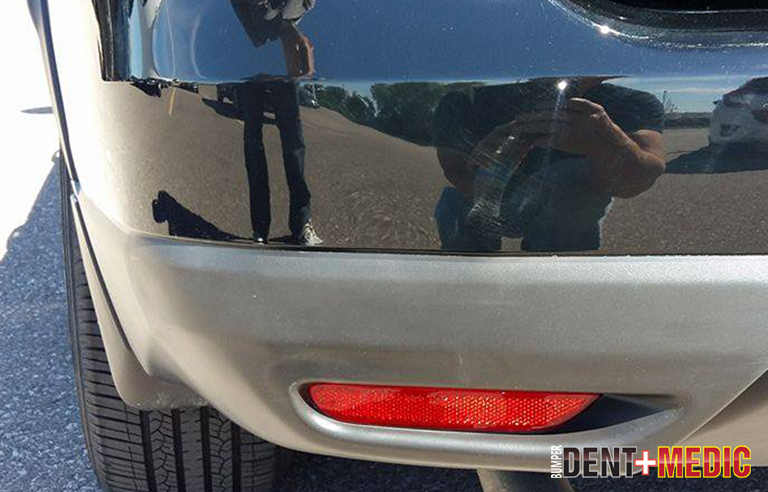 This dent damage was on the rear bumper of a new Nissan Rouge and our client had already finished his research with pricing. Damages like this at most body shops will set you back 600.00 plus and high end vehicles over 1000.00. 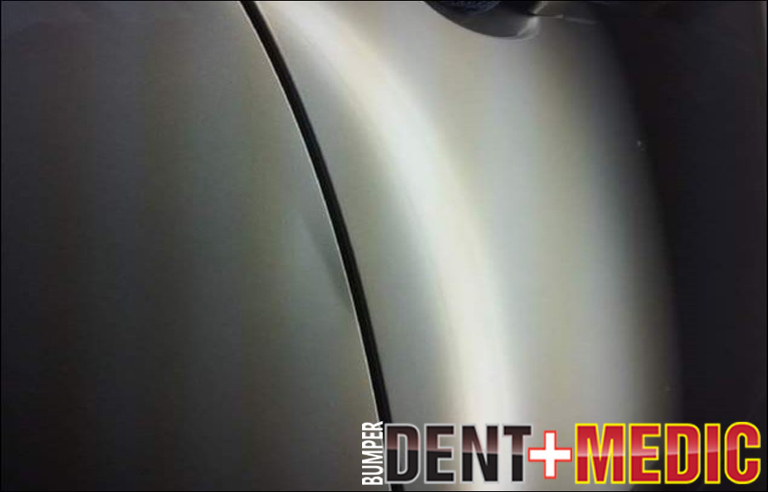 Paintless Dent Repair is always a fraction of the cost and your vehicle stays factory, No Sanding, No Painting, No Fillers, No Waiting. This repair was a couple of hours total and same day service at the clients place of business to bring back and clean up and we achieved 98% repair. A fraxtion of the cost of traditional body shop repairs. No sanding, No fillers. No painting. If your vehicle needs painting we can recommend a mobile service in the Toronto area. 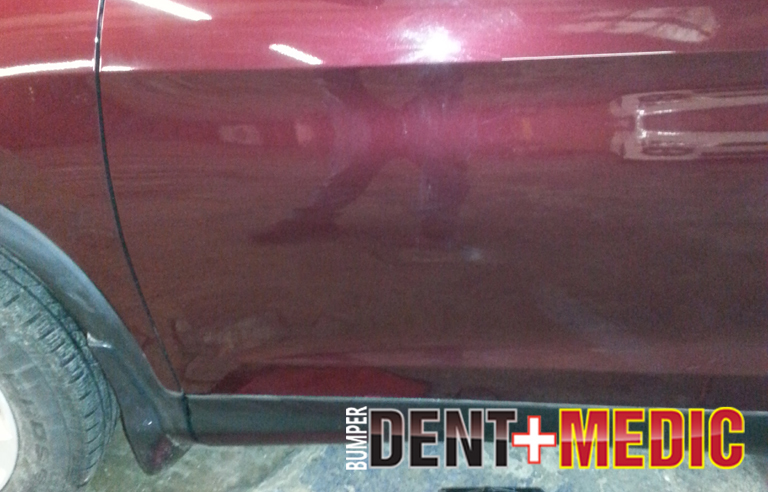 Bumper Dent Medic Mobile Paintless Dent Repair. 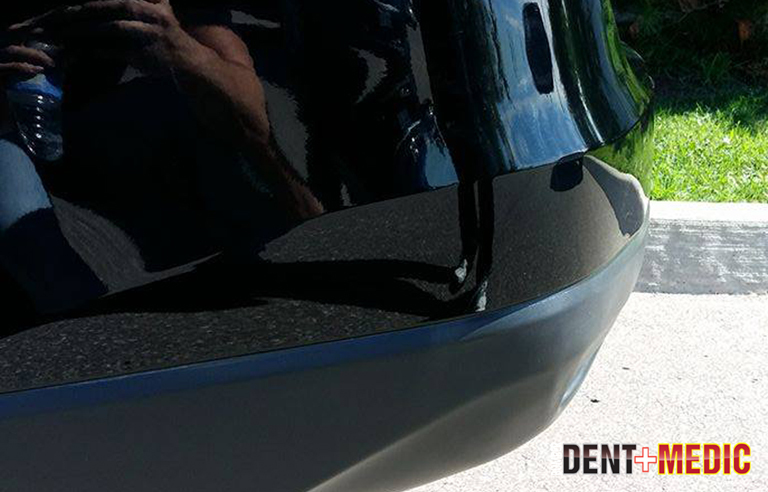 If you would like to schedule an appointment or get an auto dent repair estimate for your dents and dings. Please read through the information and select quick quote. 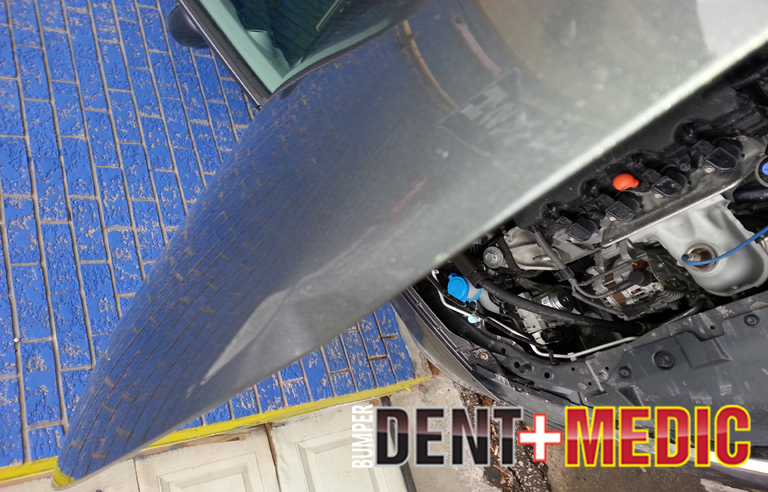 We offer Car Auto Dent Removal services. 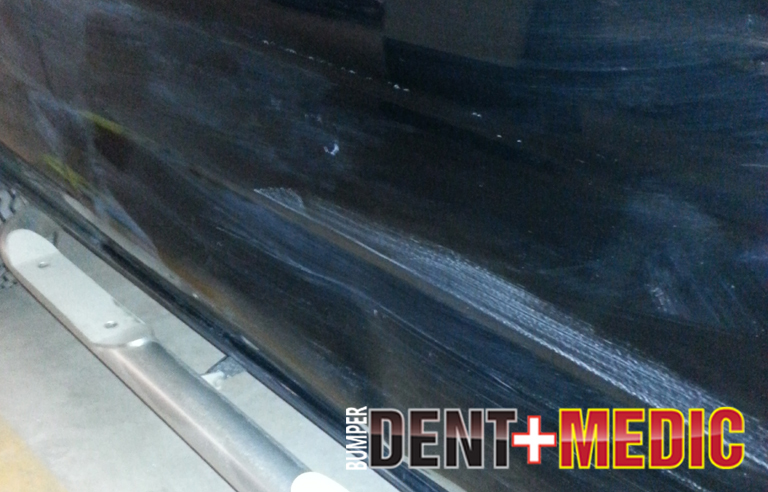 Paintless Dent Removal. Bumper Dent Removal. Hail Damage Repair. Lease Return Inspection for damages you may occur. 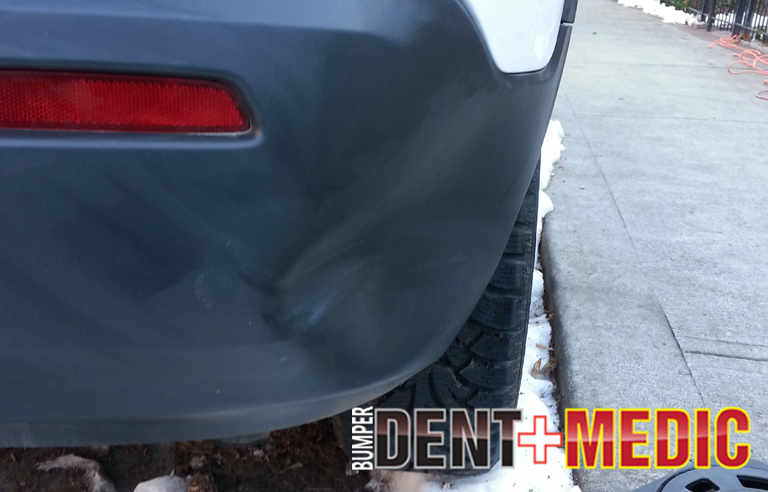 Bumper Dent Medic offers Mobile Auto Dent Repair for any dent repairs to your home and or office locations. Thanks for taking the time to read through our Auto Dent Repair ,Car Dent Repair information and what we offer to help you.